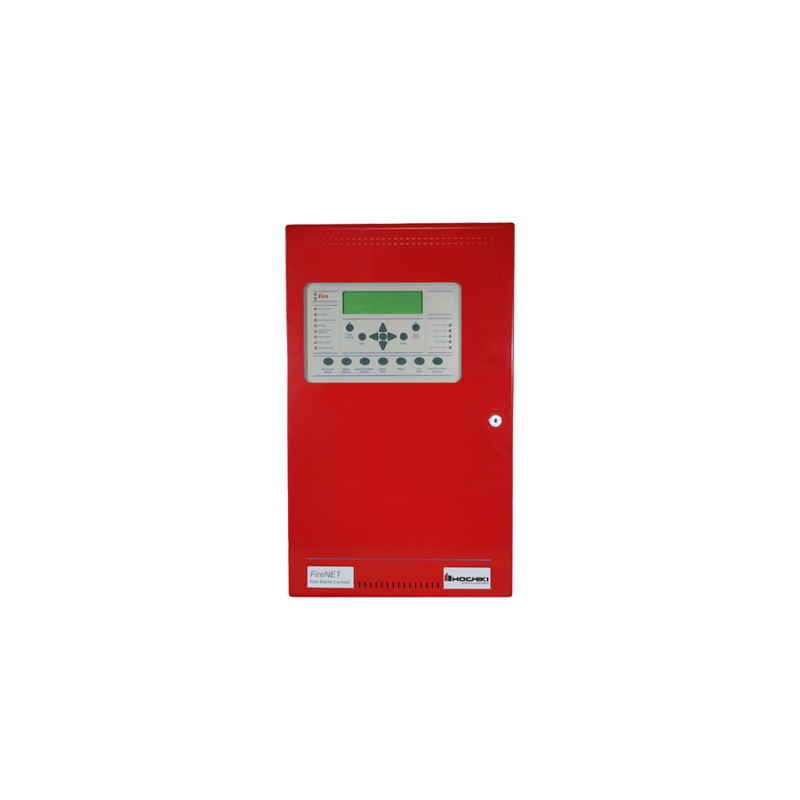 The FireNET™ Plus 1127 series control panel is an analog addressable fire alarm panel with build options containing 1 or 2 SLC loops, a Digital Alarm Communicator/ Transmitter (DACT), and an RS-485 bus for network communication. Each SLC loop supports 127 devices of any combination (sensors or modules), and 127 analog sounder bases, for a possible total of 254 points per loop. Communication between devices is accomplished by use of standard cable (shielded or twisted pair is not required). Each panel includes a 4-amp power supply and has 2 onboard NAC circuits. The RS-485 bus provides FireNetcommunication to the panel network while another RS-485 bus provides communication for peripheral devices. The RS-232 interface allows the convenience of programming via a PC. The system will support a variety of Hochiki devices; photo, ion and heat sensors, which contain a unique, patented sensor design incorporating automatic drift compensation and day/night sensitivity modes. Additional devices include contact monitors, relay controllers, supervised auxiliary output and short circuit isolator modules. In addition, interfaces to conventional detection systems can be established by using a conventional zone monitoring module. The Loop Explorer Windows® Software interface provides the installer with fingertip access to installation programming and diagnostic tools. An Auto Learn feature offers the convenience for quick start applications. Add to this a reputation for high quality and dedicated service which makes this an exceptional product both in performance and value. he FireNET 4127 control panel is and analog addressable fire alarm panel containing 2 or 4 SLC loops with each loop supporting 127 devices of anyHochiki FireNET combination (sensors or modules), and 127 analog sounder bases, for a possible total of 254 points. Communication between devices is transferred through standard cable (shielded or twisted pair is not required). Each panel includes a 5.25 amp power supply and has 4 on board NAC circuits. An RS-485 bus provides communication to the panel network, while the RS-232 interface allows the convenience of programming via a PC. The system will support a variety of Hochiki devices: photo, ion and heat sensors, which contain a unique, patented sensor design incorporating automatic drift compensation and day/night sensitivity mode. Additional devices include contact monitors, relay controllers, supervised auxiliary output and short circuit isolator modules. In addition, interfaces to conventional detection systems can be established by using a conventional zone-monitoring module. The Loop Explorer Windows® Software interface provides the installer with fingertip access to installation programming and diagnostic tools. An Auto-learn feature offers the convenience for quick start applications. Add to this a reputation for high quality and dedicated service makes this an exceptional product both in performance and value. This alternate build of the FireNET™ 4127 control panel is equipped with a Plexiglass window to meet the requirements of major cities including the City of Denver. Access level 2 is enabled as soon as the outer door of the enclosure is opened (CAT 30 Key). 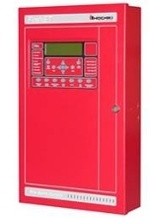 The FireNET™ 4127 control panel is an analog addressable fire alarm panel containing 2 or 4 SLC loops with each loop supporting 127 devices of any combination (sensors or modules), and 127 analog sounder bases, for a possible total of 254 points. Communication between devices is transferred through standard cable (shielded or twisted pair is not required). Each panel includes a 5.25 amp power supply and has 4 on board NAC circuits. An RS-485 bus provides communication to the panel network, while the RS-232 interface allows the convenience of programming via a PC. The system will support a variety of Hochiki devices: photo, ion and heat sensors, which contain a unique, patented sensor design incorporating automatic drift compensation and day/night sensitivity mode. Additional devices include contact monitors, relay controllers, supervised auxiliary output and short circuit isolator modules. In addition, interfaces to conventional detection systems can be established by using a conventional zone-monitoring module. The Loop Explorer Windows® Software interface provides the installer with fingertip access to installation programming and diagnostic tools. An Auto-learn feature offers the convenience for quick start applications. Add to this a reputation for high quality and dedicated service makes this an exceptional product both in performance and value. 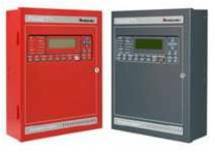 The FireFOCUS fire alarm control panel is a single loop analog addressable system that supports 127 devices of any combination (sensors or modules), and 127 analog sounder bases, for a possible total of 254 points. Communication between the panel and SLC devices is accomplished using standard cable (shielded or twisted pair is not required). The panel includes a 6 amp power supply and has 4 on board NAC circuits. An RS-485 bus provides communication with up to 8 remote annunciators. The panel also includes an RS-232 port and a USB mini 2.0 port to allow the user the convenience of programming via a PC. The system supports Hochiki addressable devices: photoelectric, ionization, and thermal sensors, which contain a unique, patented sensor design incorporating automatic drift compensation and day/night sensitivity mode. 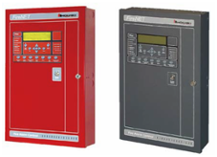 Additional addressable devices include: contact monitors, relay controllers, supervised auxiliary output and short circuit isolator modules. In addition, interfaces to conventional detection systems can be established by using a conventional zone monitoring module. The FOCUSManager Windows® Software interface provides installation and diagnostic tools. An Auto-Start feature offers convenience for quick start applications.